Photo by Bernie Boyer. Note: the small upper tier isn't visible from the base. Waterfall Info: This is the only significant waterfall on Sea Creek. 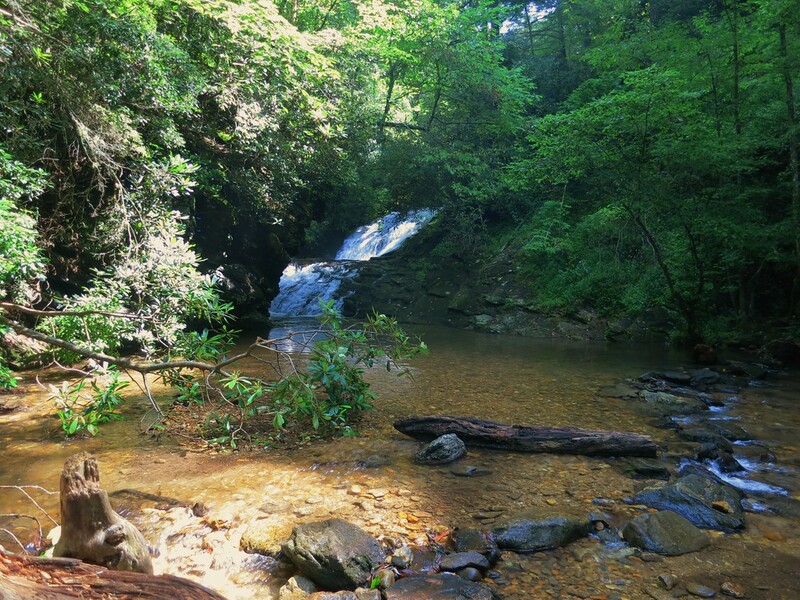 Access Info: Sea Creek Falls is accessed via a very easy unofficial trail from FS 264 (Sea Creek Road).